Spiegler's Stainless Steel Braided Brake Lines, Quality You Can Count on. Manufactured in accordance with the requirements of Federal Motor Vehicle Safety Standard No. 106 for Street Use. 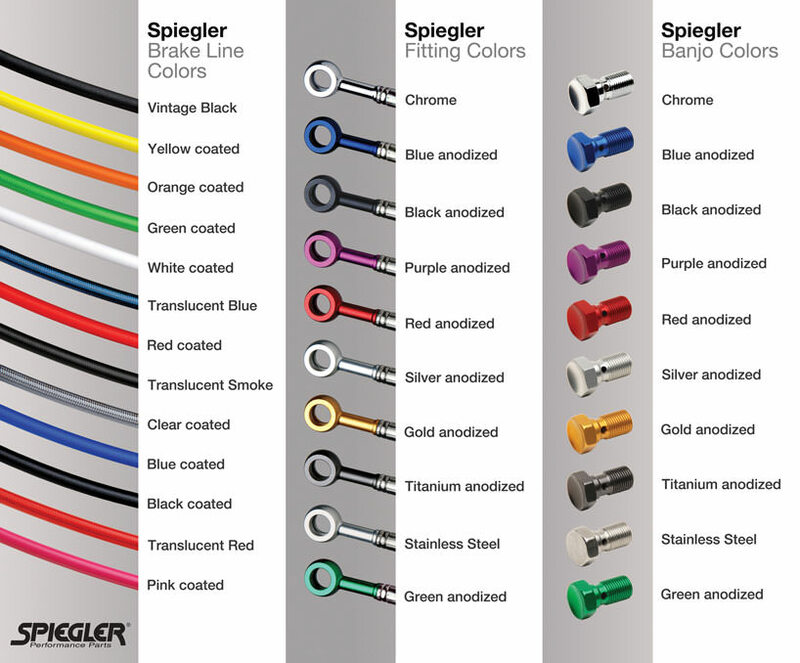 All Spiegler brake line kits are made in our Dayton, OH facility. NEW: Premium Brake Line Kits, front (alt. 2 line routing) and rear brake lines as well as all banjo bolts are included in the brake line kit. 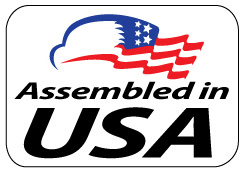 All of our components are either made in the USA or made in Europe from companies who are using certified materials. Attention: If it does not say in the Product Specification 'ABS', than the brake line kit is not for an ABS model! All of our brake line kits are made to US-model specifications. If you have a non US model bike it is your responsibility to insure fitment.